We received a VIP-very important package this week in the form of the 2014 Charity Calendar for the Down Syndrome Centre.The theme of the calendar is “I’m able” and features gorgeous pictures of child models from all over Ireland,all with Down syndrome, all with larger than life personalities showing off their abilities in various forms and one of those models is none other than Mini! 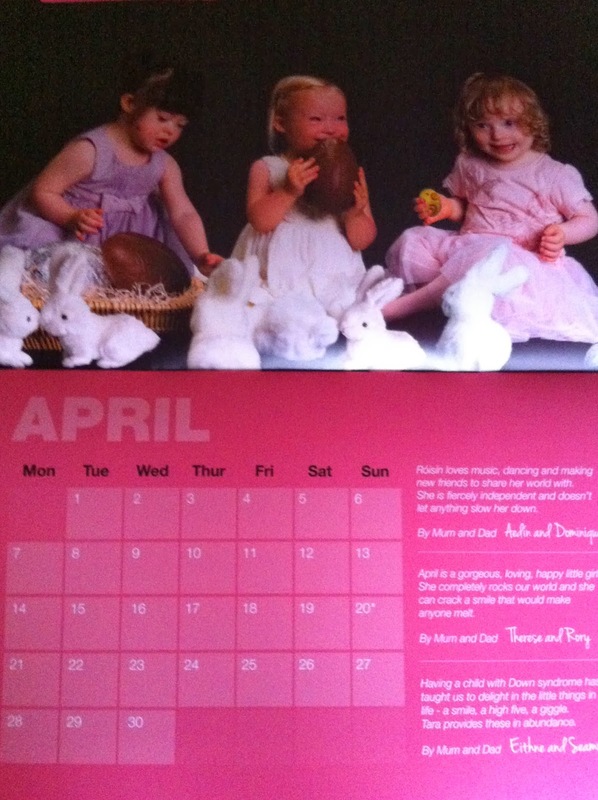 Our little supermodel features in April under the banner of “I’m able to share”.The shoot was with two other little girls,April and Tara and features all three girls enjoying Easter themes of fluffy bunnies and chocolate eggs. We had a lovely time at the photo shoot at Priory Studios, Stillorgan, Co. Dublin. It was great to meet other parents and kids with Down syndrome who we’ll hopefully meet again. The calendar is available to purchase on line for €7.99 here and from selected Avoca stores. All proceeds go to the Down Syndrome Centre,a charity who is hard at work establishing a Dublin based centre which will provide much needed services that have been cut for those with Down syndrome such as speech & language,occupational & physical therapies and also respite care for families. Please help support them and bag yourself a little something that will brighten up the dullest of office walls! Mini is of course adorable, but that sad bee on the cover (and the empathetic reactions of the other kids) is one of the cutest things I've seen! Congrats to your little super model. Just wait until you get to use the April page!! 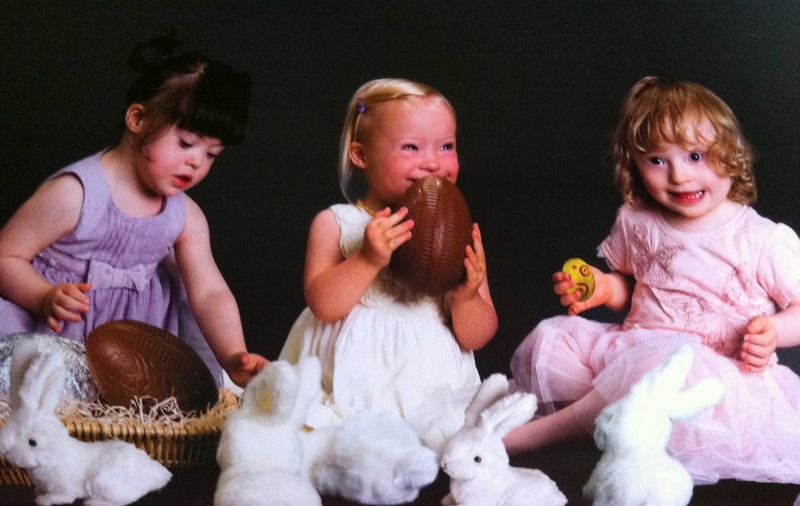 Yay how fantastic and what a beautiful picture of Mini and her friends .. i have to be honest thought … there is no way i would be sharing that egg!! I know-that is one of my favourite photos ever-it is just brilliant!It may be April for a lot of 2014 in our house! !